The herds have started to arrive in the Ngorongoro Crater Conservation Area, mainly heading towards the Ndutu lake region. The herds are still spread out along the south eastern area of the Serengeti, but all are slowly making their way south, and this time of the year a percentage of the wildebeest can be found outside the confines of the Serengeti. January is the start of the calving season for the wildebeest, and after a gestation period of around 8½ months, the cows are heavily pregnant at this time of year. Around 80 to 90% of the calves are born in a 21 day time frame. This short calving time gives the calves a better survival rate with the predators. You can expect a lot of predator action in January up to March due to the calving season, so definitely worth the trip. Born on the slopes of Mount Kilimanjaro in Tanzania, Heribert is a specialist safari guide at Asilia Africa's Little Oliver's Camp located in the picturesque Tarangire National Park. From a very young age, Heribert found himself intrigued by big cats and almost any creature that crawls, slithers, runs or flies. 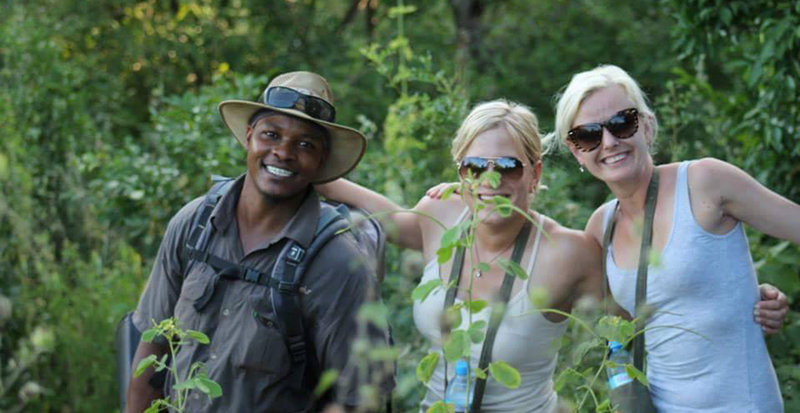 After completing high school, Heribert enrolled at the College of African Wildlife Management. It was at this institution that Heribert's passion for wildlife was finally realised. His first appointment was at the famous Selous Game Reserve, the largest protected game reserve in Africa. Heribert's dedication to his country and its wildlife is truly admirable. He has been a committed ranger at Little Oliver's Camp for the last seven years. Aside from his day job as a ranger, Heribert has travelled extensively and enjoys the thrill of new adventures. On a recent trip to South Africa, Heribert braved one of the world's highest bungee jumps from the Bloukrans Bridge in the famed Garden Route.